SkuVault is a warehouse management system. You can manage your inventory on your shelves across multiple warehouses as well as print barcodes from within their system. To learn more about SkuVault, please visit their website. In SureDone, go to Settings > Plugins > SkuVault. 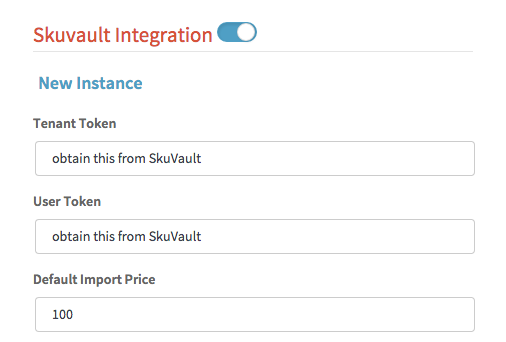 Switch the Integration setting to ON and then obtain the Authorization tokens from SkuVault. Classifications - all Classifications that you have created within SkuVault must be imported. When you create additional Classifications in SkuVault, you must visit this Plugins page and click Refresh to bring in the new Classifications. Attributes will not be available within SureDone. Brands - all Brands that you have created within SkuVault must be imported. When you create additional Brands in SkuVault, you must visit this Plugins page and click Refresh to bring in the new Brands. Suppliers - all Suppliers that you have created within SkuVault must be imported. When you create additional Suppliers in SkuVault, you must visit this Plugins page and click Refresh to bring in the new Suppliers. SKU and Description which map to SureDone's GUID and Title. 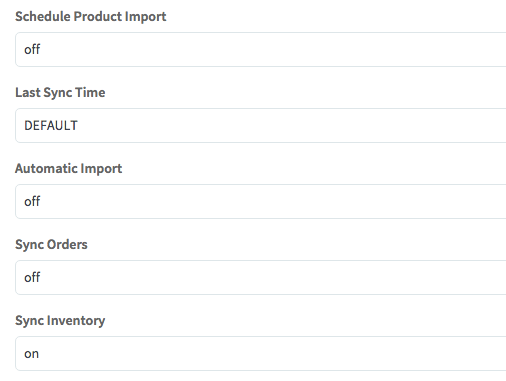 In order to import your entire inventory, it has to be scheduled out so it does not "timeout" or stop importing due to processing a lot of data. Therefore, you have to Schedule the Product Import. After turning this to ON, click Save Settings otherwise the import will not start. It may still take up to 30 minutes to begin importing your products. If you have already imported your inventory from another channel (eBay, Amazon, etc) and do not have matching SKUs in SkuVault to the inventory that was matched, you will duplicate your inventory because they do not have the same SKUs to match. If products already existed in SureDone and the SKUs match, the import will update the quantity of that product. If the product is new to SureDone, the products will be "Started" or Drafted so you can edit them individually prior to listing them across multiple channels or carts. Every successful Product Import will keep track of when that import occurred so SureDone does not check all items, creating a slow import. Sync Orders - this controls the update of orders that runs every 30 minutes. By default, this is OFF. It is the recommended and supported flow to have both SkuVault and SureDone import orders directly from the channels for the most up to date inventory in both places. Sync Inventory - this controls the update of quantity that runs every 30 minutes. By default, this is ON. If you do not want updates from SkuVault to show in SureDone, turn this off. This guide is for general knowledge and how to setup SkuVault. For a deeper understanding of what action does what in each software, please visit our SkuVault Import and Export Documentation. Due to SureDone requiring a price in SkuVault's RetailPrice field, a value greater than 0 must be entered. 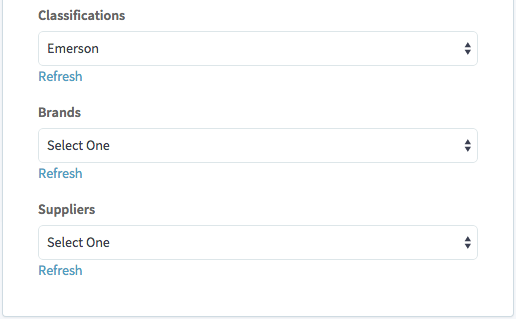 SureDone implemented the Default Import Price so you can easily export these items into a .csv you can edit and then load back into SureDone. The default price is set to 1000. To learn more about Bulk Editing, please visit the Bulk Guides section.